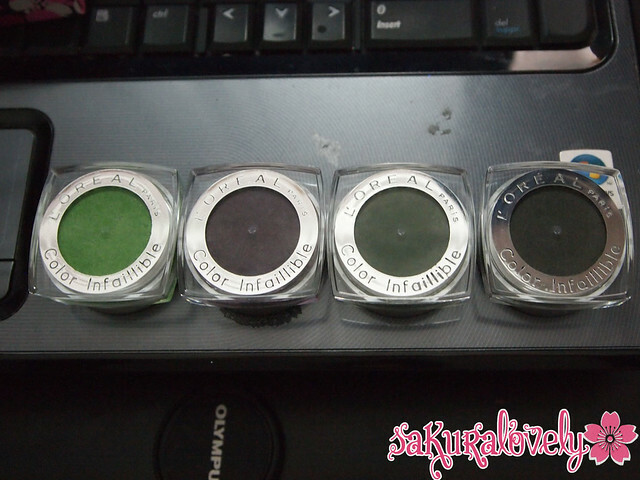 L’Oreal Color Infallible Eyeshadows: The Matte Edition | sakura, lovely. I know, I know, you are probably thinking I am just trying to milk this for all the traffic I can, and I *AM*, but don’t you notice something a LITTLE bit different about the above picture? 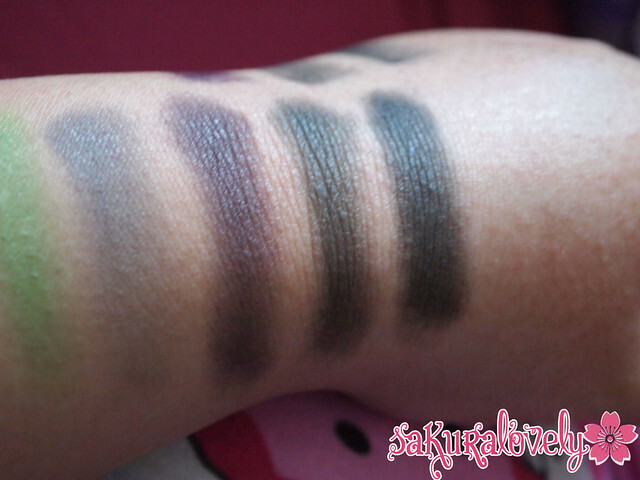 A kind reader suggested that I try applying the matte Infallibles with a synthetic brush (I usually use the MAC 239) and RAVED about them so I figured I might as well re-swatch all the matte L’Oreal Color Infallible Eyeshadows together if I was going to have to do half of them. – I haven’t figured out how you’d apply these wet. I tried with a damp brush on the black matte Infallibles but other than Enigmatic purple I couldn’t tell much of a difference and the wet application made the swatch patchier! – If you wanted the black black matte Armani ETK, 030 Ultimate Black is a decent dupe, or you could buy Bulletproof from Sugarpill, which isn’t the same texture but is definitely matte and black. I’m working on a big round-up post of all 25 (!) 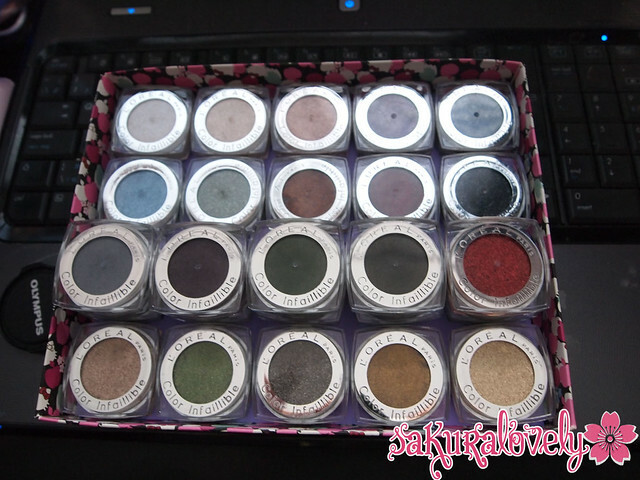 eyeshadows + the American list and what I think are dupes (thank you to everyone for sending/linking reviews to me) so look forward to that! I’m impressed by your collection! please please please tell me how you are getting your hands on the other colours?!?! I am from Australia and unfortunately we only have about 9 colours in the range that was released here and now 4 of the new L’Or, L’Or, L’Or collection. I, just like you, have this need to complete sets of things! 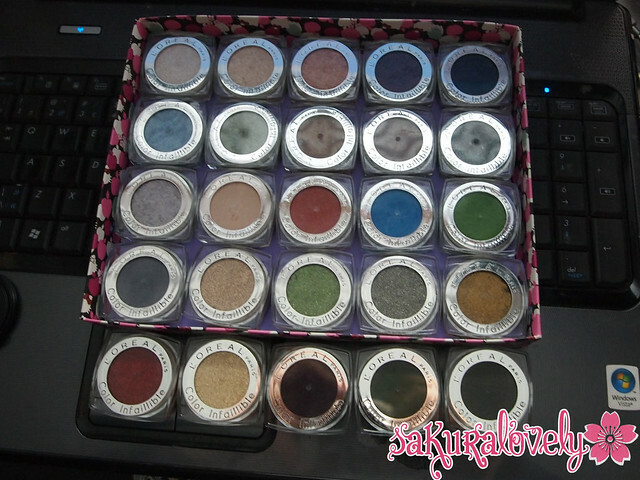 Particularly if I like them as much as I do these eyeshadows!! I would love to be able to complete my little set!! Uh, I’m not sure what you mean – I have friends that were kind enough to purchase some of these for me, but otherwise I purchased them myself (in Canada). Good luck in your search! i will try applying them wet soon!! Let me know how applying them wet goes!! I’m happy with how metallic they are already but it says wet or dry on some of them… wet did not work too well on the matte ones! Hope you spot them soon! Matte EDITION?! 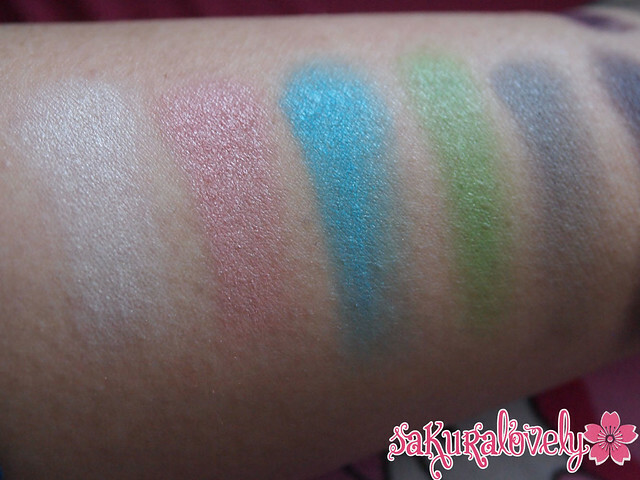 Must investigate – thanks for all your swatches! I hope there are more editions to come! 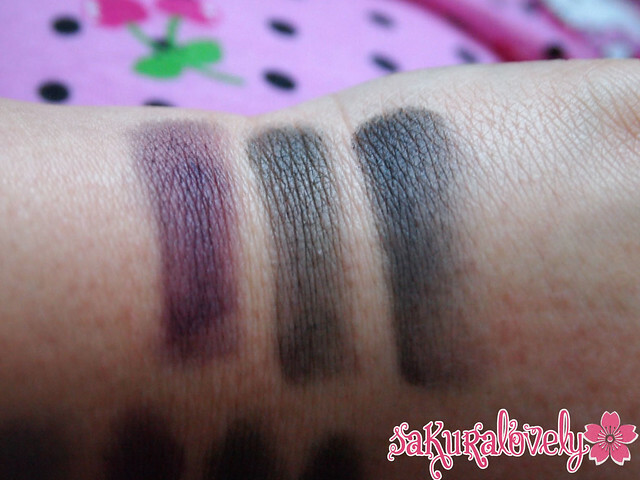 Pingback: L’Oreal Color Infallible Royal Matte Smoky Collection? | sakura, lovely.